It doesn't snow every year in Georgia, but when it does, it's a big deal. And seeing snow for the first time ever, is a really big deal!!! I created this layout of my granddaughter and loved using the Frosty Friends cut files to bring the page to life. 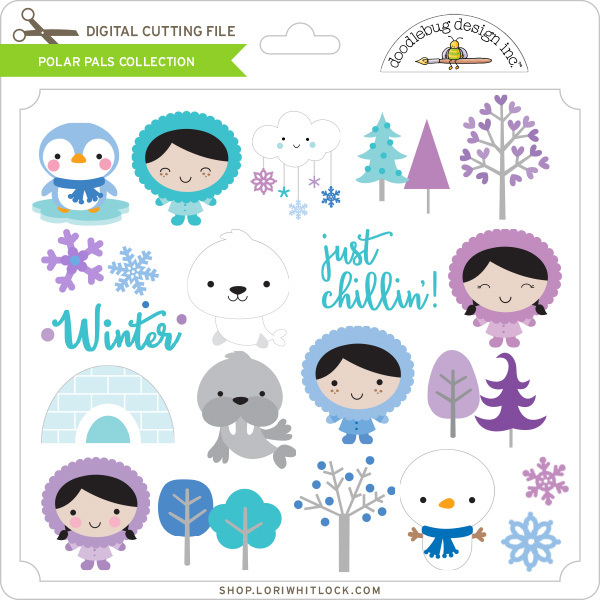 I created the title on my own using Lori Whitlock's Everyday font and Doodlebug's Snowflake from the Here Comes Santa files. 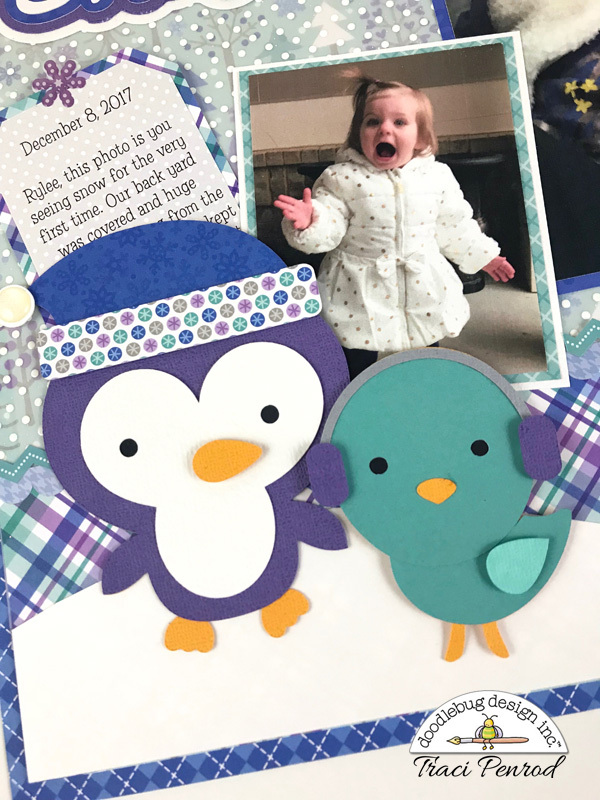 I layered the pieces with foam tape and a little bit of Doodlebug's sugar coated glitter, used paper and sprinkles from the Polar Pals collection, and tucked a little journaling tag behind the adorable penguin. Working with cut files can be so much fun! I love that you can adjust sizes and put shapes together in new ways. 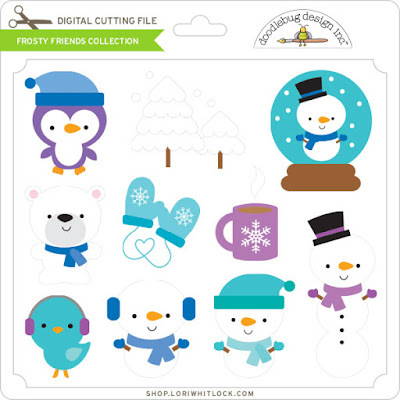 The Snowflake and Snowflake 2 cut files were the inspiration for this layout. I adjusted the sizes of the four different shapes and then welded them together for a large die cut that became the background for the layout. I added some Petite Print paper behind some of the snowflakes for a bit of interest on the textured cardstock background and then finished it off by using the Winter title file and adding some glitter for a bit of winter sparkle. It's winter yummy indeed! These layouts are so precious! OMG What a Super Cute and Adorable Layouts!!! Your Photos are Positively Precious!! Love your cutie patootie story share....Oh and you sure did a Super Outstanding Creative job preserving the memory of this special day in time to be cherished forever!! Your Layouts are Spectacular. 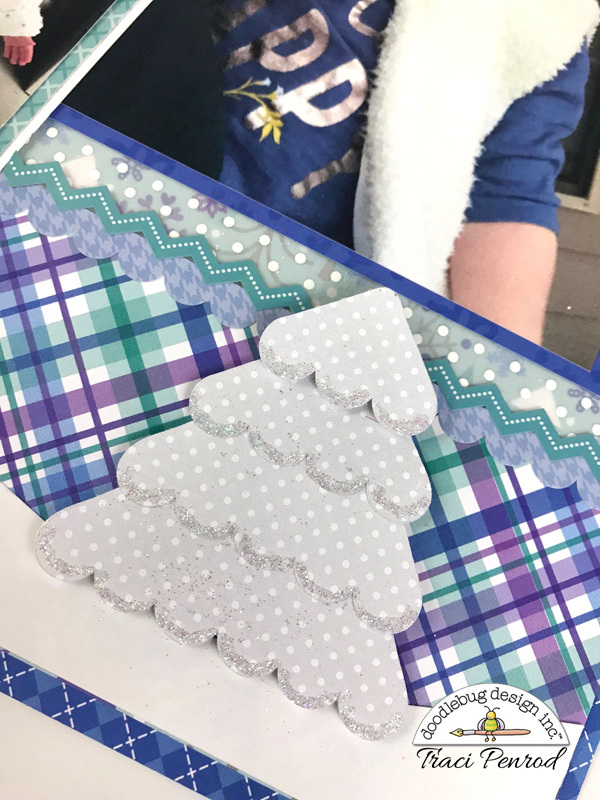 You sure did an Incredible Scraptabulous Job!! YOU ROCK! !